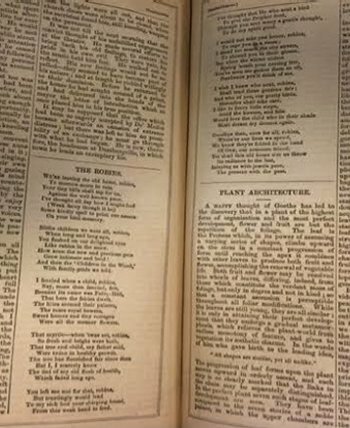 During the Victorian era, the introduction of serial publication made novels from some of the greatest authors accessible to the common people. 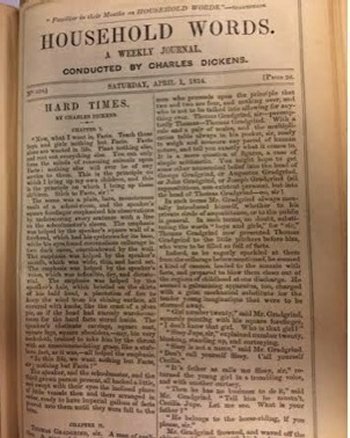 One of the most renowned journals of the time was Charles Dickens’ Household Words, published weekly from March of 1850 to May of 1859. This journal incorporated many aspects of a modern-day magazine while also publishing sections of larger novels. There are two very distinct aspects of Household Words that attract scholars and laymen: the physical, preserved text and the content. Looking at the actual text, there are a several interesting aspects. 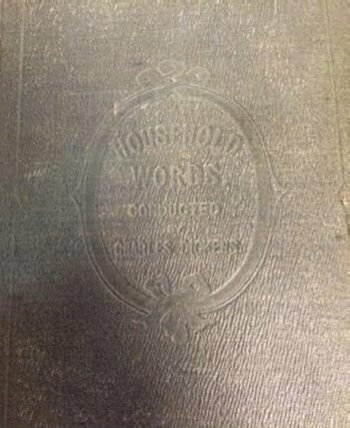 First, the volume of Household Words owned by Pius library is not what the nineteenth century British subscriber would have seen. This bound book incorporates months and months of publications. The compiled weekly journals bound together have actually remained in a decent, readable state. There is definite aging, and the stem of the binding has begun to decay, however, the content is still in a usable condition. 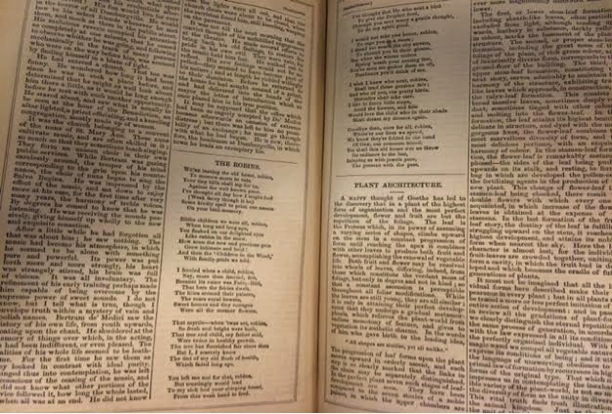 In terms of content, this weekly journal published a wide range of information and incorporated serialized novels that increased access to literature in the era. Instead of having to purchase a large expensive book, ordinary citizens were able to buy a cheap weekly journal containing several chapters of a book. Finally, articles in Household Words acknowledged the many problems industrial England was experiencing. This weekly publication, made available to readers every Saturday, was a springboard for Dickens to provide a social commentary on the problems of the era.